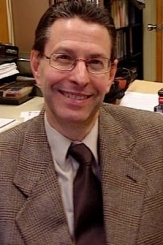 Steven L. Spiegel, Professor of Political Science at UCLA, studies American foreign policy in the Middle East. He received his Ph.D. from Harvard University in 1967, having joined the UCLA faculty the previous year. During this time he has written over 100 books, articles and papers. Professor Spiegel is also the author of a major international relations textbook, World Politics in a New Era, and he currently is part of the team preparing the fourth edition for Oxford University Press. He is presently at work on a book on the American approach to the Middle East. Professor Spiegel serves as Director of the Center for Middle East Development at UCLA, and also provides assistance to Middle East programs at the statewide Institute on Global Conflict and Cooperation of the University of California, San Diego. Through the innovative and informal negotiation techniques he has developed in these capacities, Dr. Spiegel helps produce cutting edge ideas for promoting Middle East regional security and cooperation. For this work, he received the Karpf Peace Prize in 1995, awarded to the UCLA professor considered to have done the most of any faculty member for the cause of world peace in the previous two years.